My sweethearts, it’s Christmas Eve and I couldn’t be more excited! You all know I LIVE for glitz, glam and all-round eleganza, and Christmas is the perfect time to get really stuck in. 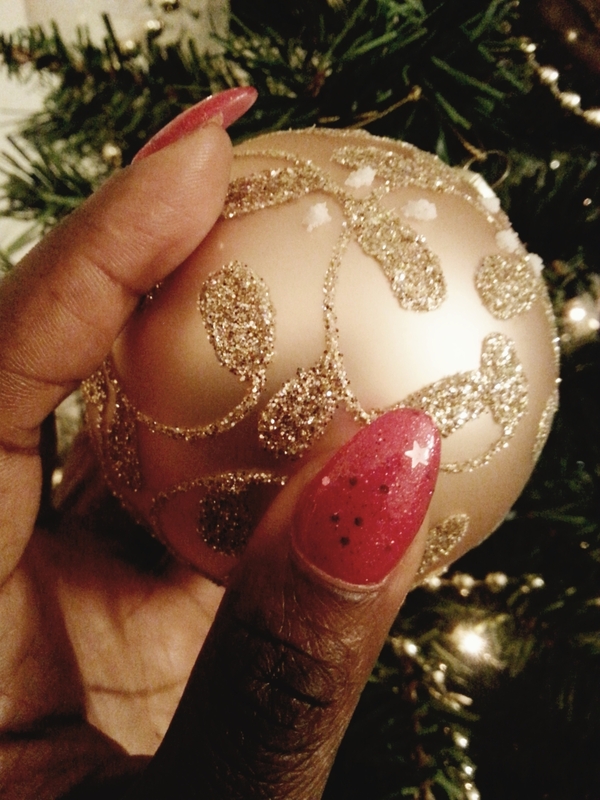 Before I get knee-deep in turkey and champagne, I wanted to quickly share my festive nail combo with you guys. I decided to treat myself and go get my nails did at my fave salon. My North London gals- get on down to Chapel Spa Nail and Beauty in Angel, STAT! Ask for my homegirl Cindy, she’s the bestest and I adore her. 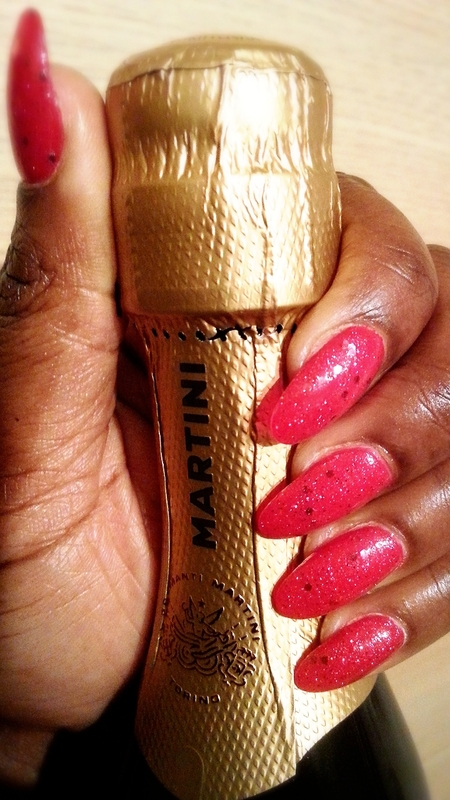 One layer of OPI “Big Apple Red” was used, with OPI Liquid Sand in “Impossible” on top. I love this Liquid Sand polish- it’s a pink/red glitter with tiny silver dots and stars. Merry Christmas!! Always love your nails!! Aw thanks so much! Merry Christmas to you too my dear! Next Next post: Christmas OOTD!